Most certified management accountants are using cloud computing accounting packages to provide the best service to their customers. Using cloud computing, an accountant sitting in the West Coast of America can monitor and generate accounting reports of clients from the East Coast. The high level of security offered by cloud computing can surely keep your data safe and secure. Many players have entered the cloud computing market and most of them have some of the best accounting packages as well. For mid-sized companies, cloud accounting programs such as the NetSuite accounting program is highly recommended as it has the following benefits.Easily, securely and remotely support clients running NetSuite: You will be surely amazed at the ease at which you can support your customers when you use NetSuite’s web-based accounting software. Sitting in one location, you can review your client’s financial reports and also monitor key financial processes. If you are new to cloud computing, understanding the initial processes may take some, but once you are on track, the sky is the limit. With NetSuite’s web-based accounting software, your customer can provide you a single-seat access to their NetSuite account. The amazing part of this deal is that neither you nor your client will have to pay any extra charges.Get training and tools at discounted rates: When there is any new software in the market, the first concern is the cost and the second is training on the software. When you buy the NetSuite’s web-based accounting software, you are entitled to discounted training to polish your NetSuite skills. In addition, you will also get a NetSuite demo account which can be used to test transaction and report implications in a non-production environment.Access to fellow NetSuite users: The NetSuite’s web-based accounting software is a collaborative tool that will enable you to connect with other NetSuite users. When you buy the NetSuite’s web-based accounting software, you will get a free membership in the NetSuite User Group.Lucrative referral schemes: When you buy the NetSuite’s web-based accounting software, you are enrolled into the NetSuite’s referral scheme. You can earn a 10 percent commission on the 1st year’s license for new referrals that become NetSuite customers.As the NetSuite’s web-based accounting software is targeted towards the mid-sized organizations, it is easier for medium sized business owners to take a quick decision. This is not the case with most web-based accounting software that are available in the market, which generally tend to provide a best-fit-for-all solutions.In addition to the aforementioned benefits, most users of NetSuite claim that this web-based accounting software has robust capabilities, and provides a low cost total cost of ownership. NetSuite implementation partners too have gained a lot of popularity these days, which makes this web-based accounting package more convenient and acceptable. 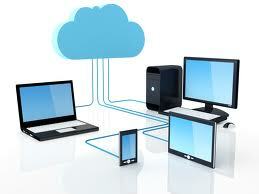 Cloud computing is not a new term, but with the advent of the Internet, cloud computing is gaining momentum. Many businesses—small and big—are reducing costs and maximizing profits with the help of cloud computing. You too can cash in on this novel technology if you want to excel in your business.